(Green Bay, Wisconsin) – Bellin Health System is an integrated healthcare delivery system based in Green Bay, Wisconsin, serving 450,000 people in northeastern Wisconsin and the Upper Peninsula of Michigan. 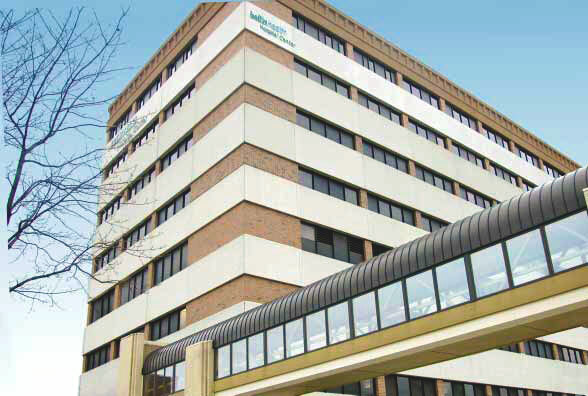 Evolving from a 15-bed general hospital founded in 1907, it now comprises: Bellin Memorial Hospital, Bellin Psychiatric Center, The Bellin Medical Group of Primary Care, Bellin College of Nursing, the Bellin Foundation, and Lake Michigan Health Services. For over 100 years, Bellin Health System’s mission has remained unchanged; to better the health and wellbeing of Northeastern Wisconsin and Upper Michigan. However, for Bellin Health, this mission goes far beyond just providing excellent medical care-- to a focused and firm commitment on sustainability, environmental conservation and continual improvement of processes, systems, and technology. It understands the importance of creating healthy building environments for both the people it serves as well as its employees, and the interconnections between them. This shift in practice towards green and healthy buildings is fundamentally consistent with the core values of Bellin Health System. Bit by bit, Bellin has been adding green initiatives to its operations. These efforts, while not earth-shattering on their own, have already began to provide return for the health system. 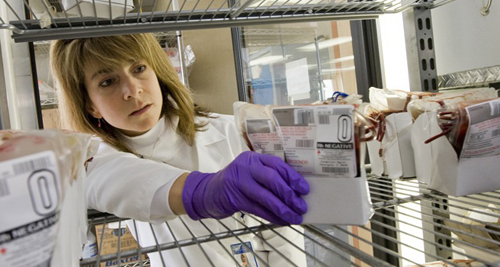 One such initiative is the leverage of communications technology to automate the monitoring process of refrigerator and freezer temperatures used to store blood, vaccines, and other expensive pharmaceuticals throughout the health system’s multi-campus locations. As with other healthcare organizations, Bellin is required to monitor and record continuous temperatures and time stamps within their cold environments in order to meet product quality and regulatory requirements. Traditionally, the system’s nurses, pharmacy and laboratory staff were assigned the task of manually monitoring and logging these temperatures multiple times a day, and alerting staff to any out-of-range events. While simple, this manual process was labor-intense, error-prone, and didn’t comply with the need to continuously monitor. Bellin Health System, with design, integration, and management services from Jay Nitz of Building Automation Technologies Inc., (a Wisconsin-based building automation and energy management system contractor and KMC Controls Authorized Partner) implemented a network-based temperature monitoring system that solved the challenge of finding a more efficient, cost-effective means of logging temperatures, and detecting and reporting out-of-range events. 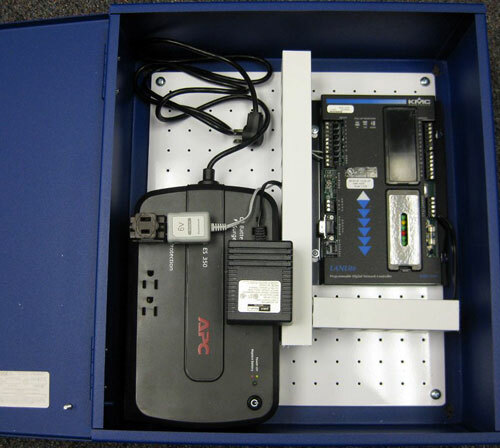 BATI’s solution involved installing a KMC LANLite (KMD- 5205) Controller along with an uninterrupted power supply (UPS) within each clinic location. 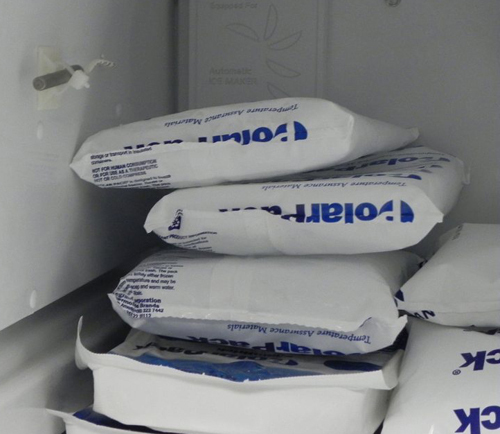 A temperature sensor placed in each of the refrigerators/freezers at those locations are connected to the LANLite Controller which passes the readings over the hospital’s secure intranet-network to KMC’s TotalControl™ facility management software stationed at Bellin Memorial Hospital. The software is what is used to collect, store, and move the temperature-range reports from each location and includes email alarming. If the temperature of a refrigeration unit exceeds or drops below a pre-set threshold, an alert is triggered. TotalControl then sends an email alarm to the responsible party so that corrective-action can be taken. Additionally, the system is designed to safeguard against extraordinary circumstances such as power failures by utilizing the UPS. BATI’s packaged KMC system is a proven solution for accurate and cost-effective temperature monitoring, alarming, and recording. The hospital benefits by relieving highly skilled workers of an important but lesser-skilled task so they can spend more time attending to patient needs. Additionally, the system will protect valuable products, ensure regulatory compliance, and provide 24/7 assurance. Further, as the system is naturally scalable, it will allow Bellin Health System to continually accommodate value-added capabilities now and in the future. If building sustainability, for whatever reason, is your goal, turn to KMC Controls for answers. For more than 40 years, we have designed and manufactured control system hardware and software for flexible building automation. We remain the only privately held U.S. manufacturer to offer a complete line of components and digital automation systems.